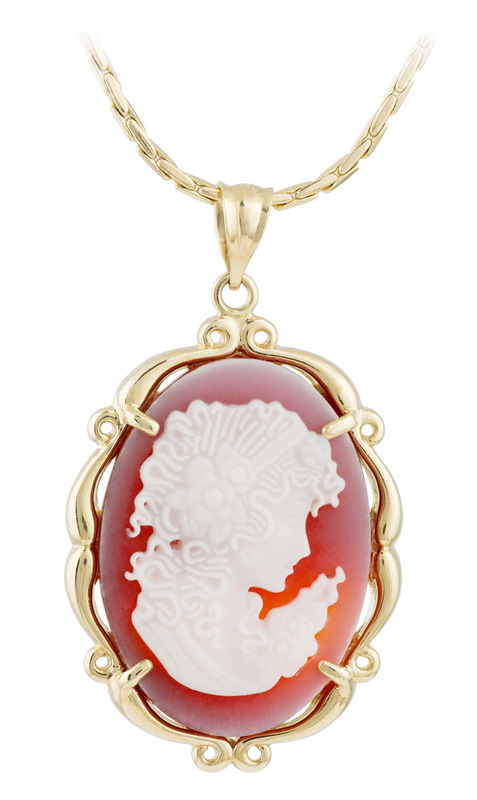 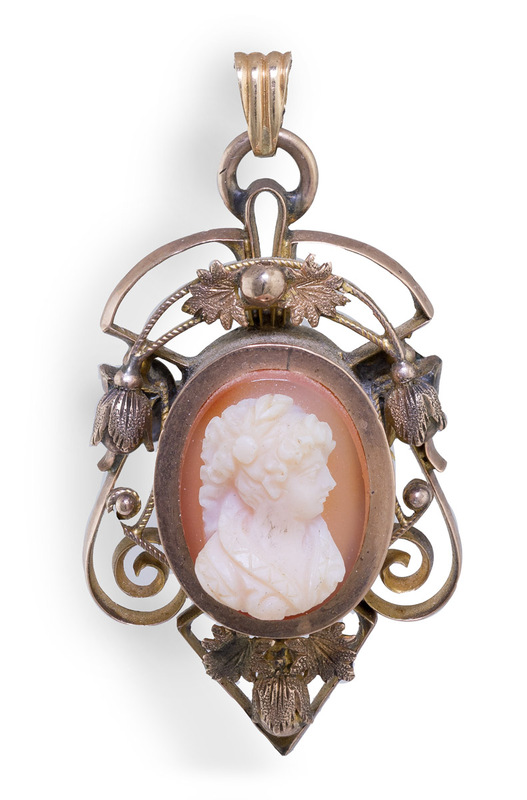 This vintage carved cameo has openwork filigree accents surrounding the cameo. 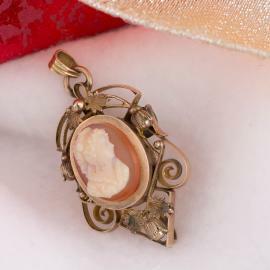 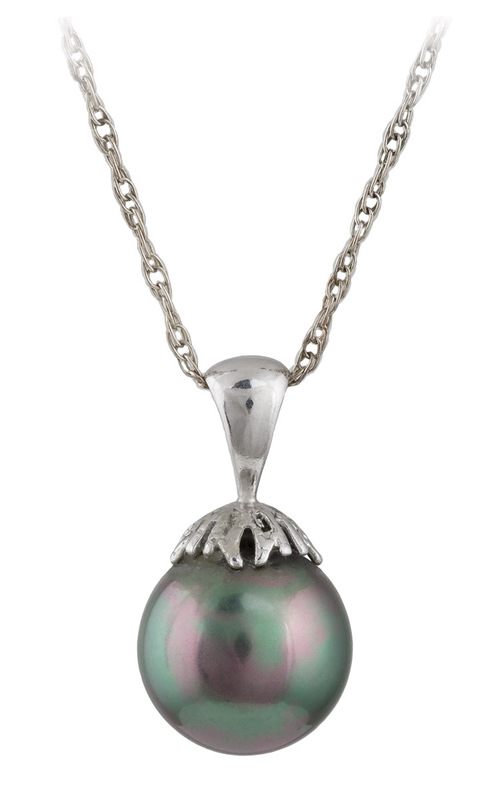 The piece has both a bail to wear as a pendant and a pin to wear as a brooch. 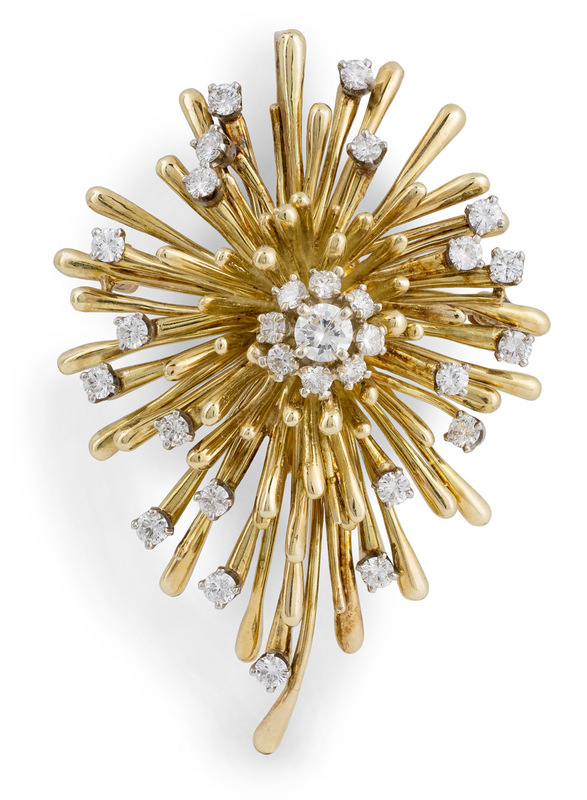 A beautiful piece of jewelry from the 1950’s!